The LOOPY Walkers are a group of Trustees, friends, and work colleagues from all backgrounds who love to walk! 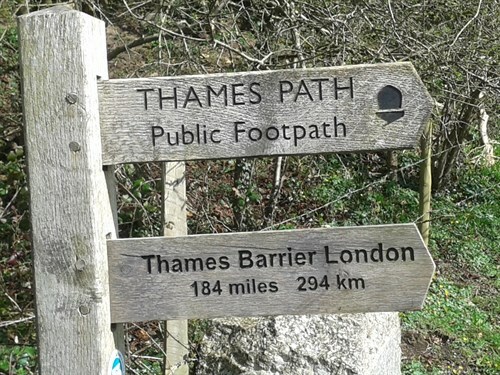 We are undertaking our final fundraising Challenge by walking the 184 miles of the River Thames from its source in the Cotswolds to its mouth (Thames Barrier) in London. 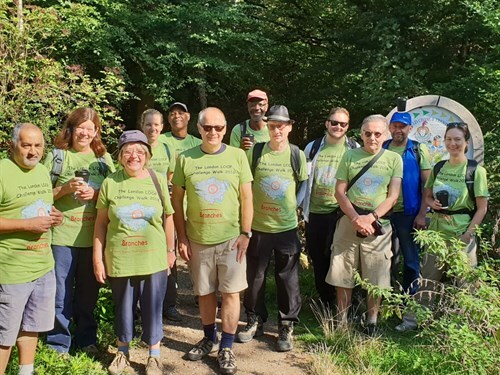 We have so far walked the London LOOP (150 miles) London’s Capital Ring Walk (78 miles) and have raised over £9000 for Branches Hostel. All monies raised will go towards establishing our own in-house specialist Clinical Practitioner who will offer an enhanced level of support through day-to-day clinical involvement to those with mental health needs. £30 will help provide 1 hour’s specialist support to our clients. We start on 10th May, and will aim to undertake the first stage to Oxford (54 miles) over 3 days. Will you help us achieve our target? Waltham Forest Churches Night Shelter (Branches) provide short-term housing for 27 single men and women in their purpose-built hostel in Walthamstow, London E17 24 hours/365 days a year. They support residents and former residents, many of whom have mental health, drug and alcohol addictions, through a dedicated team of Support Workers. Their Support Team provides general advice and advocacy on all welfare and housing matters, and facilitates access to training, education, volunteering and employment opportunities. A primary aim is to support individuals redevelop lost life-skills, which are vital to ensure they move-on more confidently and feel they have better control of their lives. Their immediate priority however is to provide better Resettlement Services to current and former residents, and to to establish our own in-house specialist Clinical Practitioner who will offer an enhanced level of support through day-to-day clinical involvement to those with mental health needs.